There really is a lot going on in Rio in preparation for the 2016 Olympic Games. Some comments and reports may suggest that there is much stalling and paralysis in decision making and in the necessary advances….and indeed there continues to be some of that. There are legal issues about land ownership, major questions still about the effectiveness of security in the face of ongoing local unrest and discontent, and perhaps still most concerning is that there is still disagreement between the various levels of government about how to fund key Games related and Games triggered projects. We’ve noted in earlier briefs, in our newsletter, “Back on the Block”, the resignation of Marcio Fortes, who headed the Olympic Public Authority. At that time Leo Gryner, chief operating officer of the local organising committee, acknowledged $700 million in public money may be needed to cover a shortfall in the operating budget. Fortes has been replaced by a senior army officer, Major General Fernando Azevedo e Silva who has been chairman of the Military Sports Commission of Brazil since 2012. Funding the already blown-out budget is an issue for the organisers. They had considerable early success in securing major sponsors in record deals. Bradesco Bank, Ambev, and Embratel/Claro each paid more than their equivalents in the UK did for the London 2012 Olympics sponsorships. Rio also negotiated a few in-kind supplier deals. Some US$650 million has been raised so far. The goal is to secure US$1.3 to $1.5 billion in domestic sponsorship, which would be a new record for Olympics. Organisers for the London Olympics raised a record $1.1 billion. It had been thought that Rio would aim for a total similar to that raised in London. 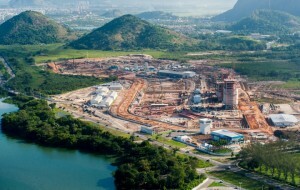 For Rio, the landscape is now complicated with the Brazilian economy not performing well and a number of companies finding conditions difficult. Add to that the direct and psychological impact of the collapse of Eike Batista’s OGX Group and the challenges for sponsors connected with the World Cup – after all, they all want to be seen as highly reputable as well as champions of the people – and it won’t be an easy run. Certainly one can expect the construction, oil food, beverages and other such industries to be heavily targeted….and pressured. Then comes the real business for Rio 2016 of managing those sponsors, delivering the goods…and for the sponsors to ‘work’ the market and recoup-plus their investments. There was time when the rule of thumb was that a sponsor needed to spend on activation programs as much as the sponsorship amount for effective results. Even with higher sponsorships the activation spending required seems to have gone above that rule of thumb ‘measure’. There are just under 1000 days until the Games commence. 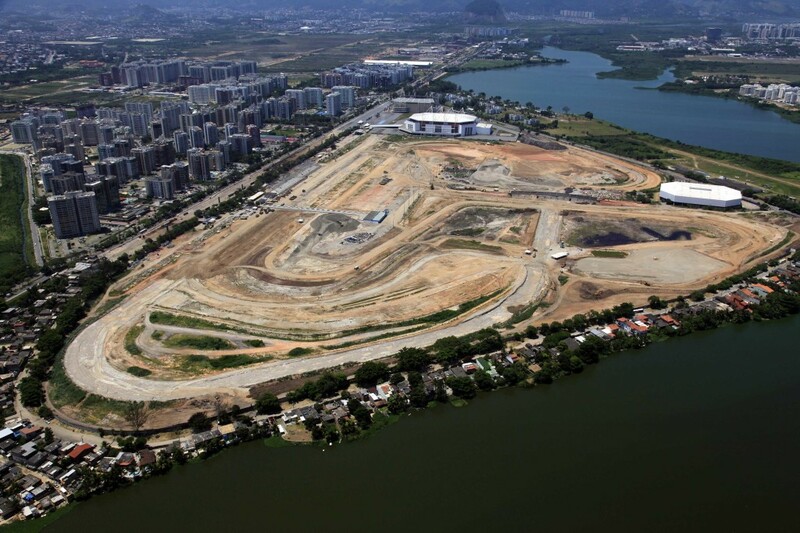 The city of Rio de Janeiro has unveiled the conceptual design of the Deodoro Sports Complex, an area that will stage a number of Olympic and Paralympic sports in 2016 . Three arenas will be built, four other existing venues are to be refurbished, in some cases quite substantially, and three temporary venues will be built. The project is funded by the Federal government and run by the Municipality of Rio, the Prefeitura. The conceptual design was for the Deodora venues provided by the consortium Vigliecca Marobal , in competitive bidding by the State. In August, however, the responsibility was transferred to the Municipality. The works are expected to start in 2014 and finish in the first half of 2016, shortly ahead of the opening of the Games. The image to the left shows the progress being made on the Olympic athletes' village, in the Barra area. New facilities will be built for fencing competitions, basketball , BMX and slalom canoeing. Existing hockey fields will be replaced to meet the requirements of the International Federation of the sport. 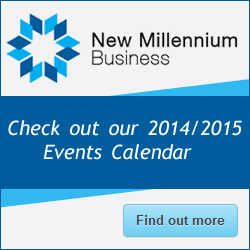 Mountain bike competition, modern pentathlon and rugby seem likely to be in temporary venues. Much of the construction work is in the hands of the Rio Mais consortium, including Odebrecht. Tenders for the design and construction of the tennis venues and a new velodrome are in train. Facilities built for the 2007 Pan American Games, such as the Lieutenant William Pará National Shooting Centre, the General Eloy Menezes National Equestrian Centre and the modern pentathlon pool will undergo adjustments and will be used in the Olympics. The new nine metres high observation tower is located in view of the the construction of the international broadcast centre , the tennis centre, the main press centre, and three sports halls. 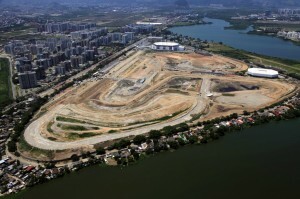 Overall, the Barra Olympic Park will occupy an area of 1.18 million square metres.Work at the Park started in July 2012 with the removal of the old Jacarepaguá Racetrack, part of which was used in the construction of the observation tower. Infrastructure works – such as water, sewage and electricity networks – are said to be on schedule, and the earthworks are in the final phases. In the first half of 2014, construction of the facilities for handball, aquatics, and cycling, the velodrome, will commence. Revisions have been made to earlier plans with some venues now scoped and designed for reduced seating capacities and more focus on temporary structures/elements. The basketball and fencing arena will be a modular structure and will now have 5,000 seats during competition, with 3,000 seats designed to be removable. The slalom canoeing competition area has been reduced by 40% and the layout simplified. The project changes were approved by the International Canoe Federation. As Rio city struggles with the progress of its new transport projects and integration of many elements of the city-transport-Olympics jigsaw, there has been a visit to Rio by urban experts from the Barcelona City Council – to advise the city on issues of transformation of its urban landscape. Separately, but in a similar ilk, the health care and emergency medical plans developed for London 2012 are being viewed closely and specialist from the UK have been working with the Rio and national agencies. 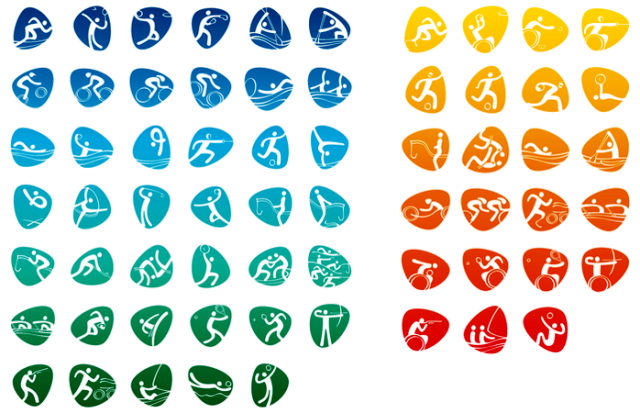 Rio 2016 has unveiled the official pictograms which for the first time ever will depict each of the 41 Olympic and 23 Paralympic sports that are part of the program. 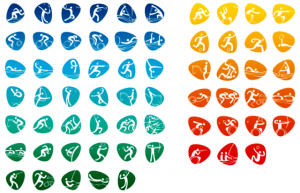 The icons are pebble shaped, characteristic of Rio 2016's visual language according to organisers, and they are designed to alter their shape to symbolise the athletes' different movements. 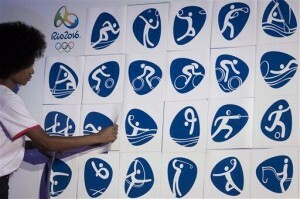 "The pictograms, from now until the Games, will serve as a communication platform for the promotion of the sports, for partner activations and will be present in all the Games' visual identity, including their application in venue decoration, signposting, tickets and licensed products, among other things," said Rio 2016 brand director Beth Lula.